Vincent Tamplain is a 17 year old student at Hahnville High School. He became interested in ceramics last year when he was injured and couldn’t participate in swimming (his primary sport). Being sidelined from swimming was very hard and he needed a new focus. He had an assignment at school and got permission to study ceramics for his project. With the help of Mrs. Faucheux in the HHS art room he learned to throw pottery. His first pieces were hand built leaves. Then his focused moved to the wheel. He found that focusing on ceramics really helped him to relax. When school let out he purchased his own wheel and began throwing at home. 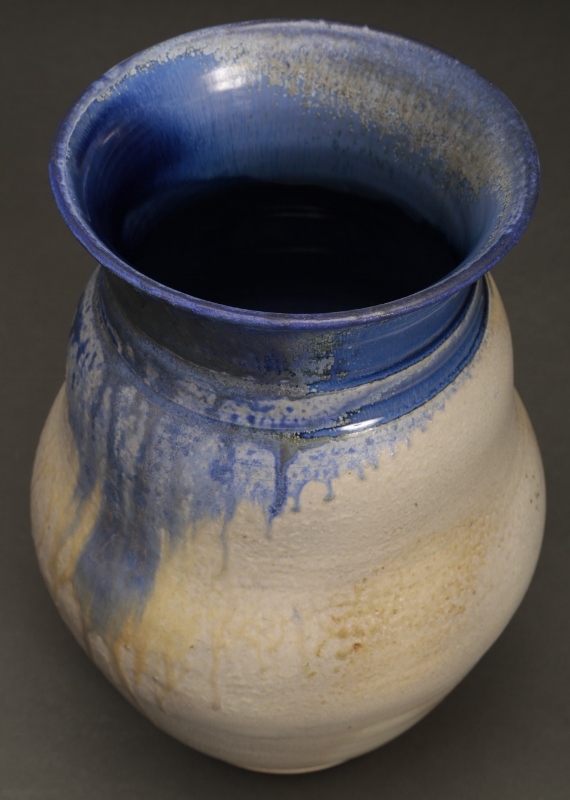 He also found and purchased a used kiln so he could produce his work. He loves making unique pieces of art but the most excitement comes from when he opens the kiln and sees the completed work. When glazing you are never quite sure what the final product will look like. His goal now is to sell his artwork through craft fairs and on-line websites. He continues to focus on his goals in academics and sports, using his free time to work on his art. Amazing that something like an injury can open a whole new world of learning.